We stayed at the Poco Diablo resort, located as shown on the above map. It is just a few miles south of the Sedona city limits on Hwy 179. Poco Diablo resort sets between a short 9-hole golf course and Oak Creek. Behind the resort, the shore line of Oak Creek has a short hiking trail and some picnic tables. The resort has a swimming pool, jacuzzi and laundry room on site, but not much in the way of other amenities. Resort customers can also use the restaurant at the golf course clubhouse. 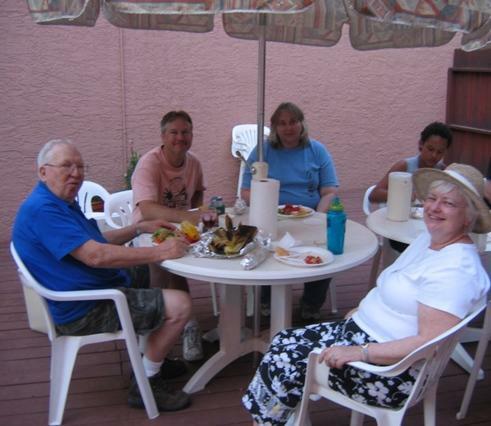 During this week we shared many gatherings, meals, hikes, shopping and movies with relatives. 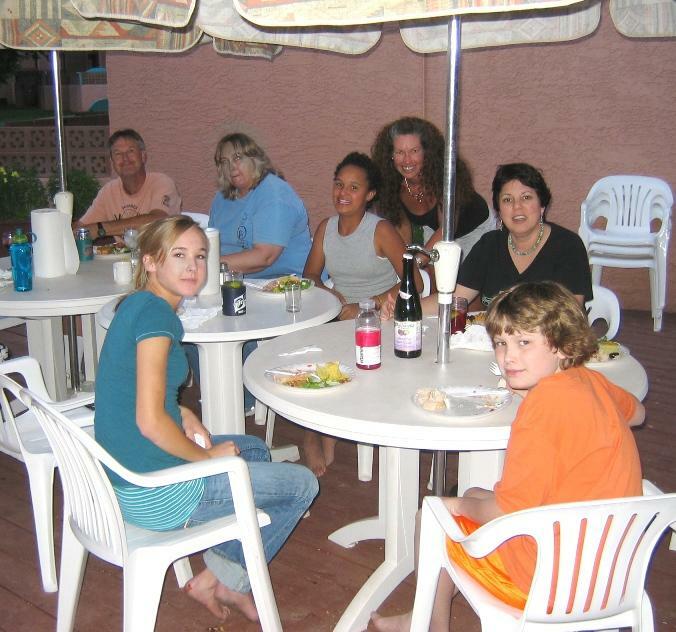 Tom's sister and brother and brothers family were also in Sedona during this same time. Unfortunately, our niece Karen was unable to make this trip due to calendar conflicts. 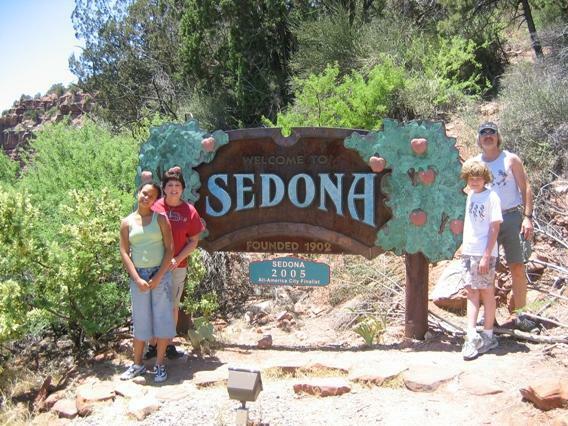 Dad and Mary Beth were also visiting Sedona during this week and able to share in the fun. 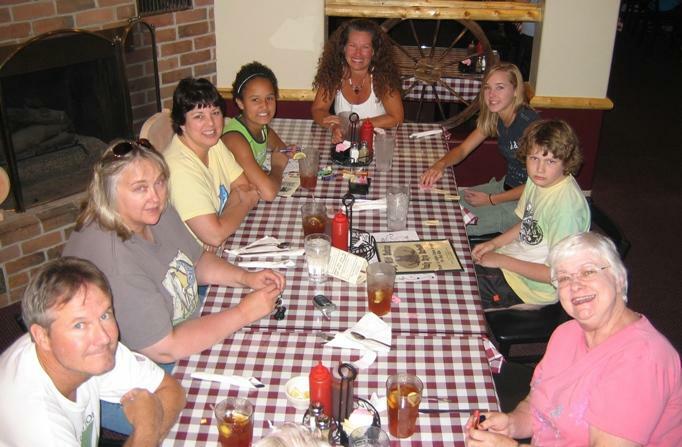 At the end of our week, we drove through Prescott and visited Tom's Aunt and Uncle and cousins. Sedona sign on Hwy 89A heading south from Oak Creek. Dinner with relatives at the Villas. 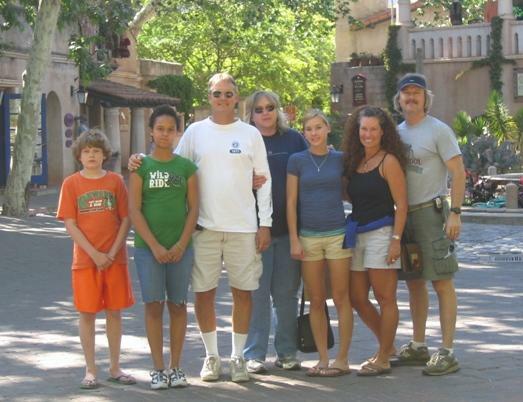 Group photo at Tlaquepaque. Elizabeth took the photo. 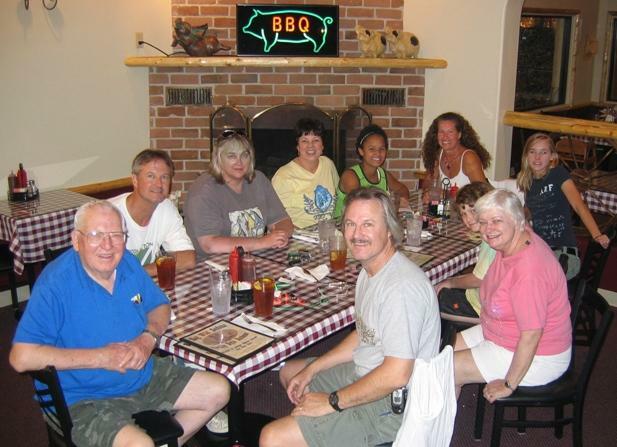 Lunch gathering at Hog Wild restaurant. 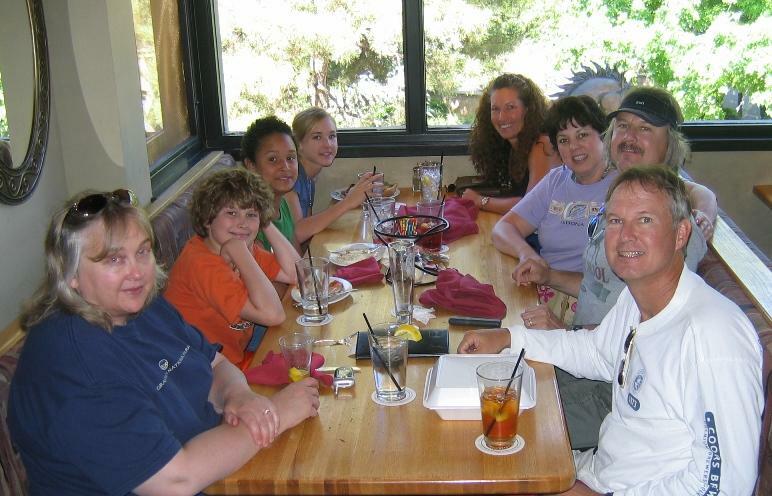 Lunch at the Oak Creek Brewery and Grill at Tlaquepaque. 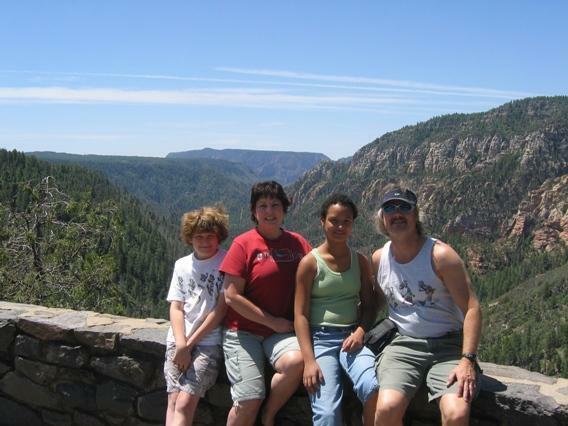 Family photo at scenic view overlooking Oak Creek Canyon. 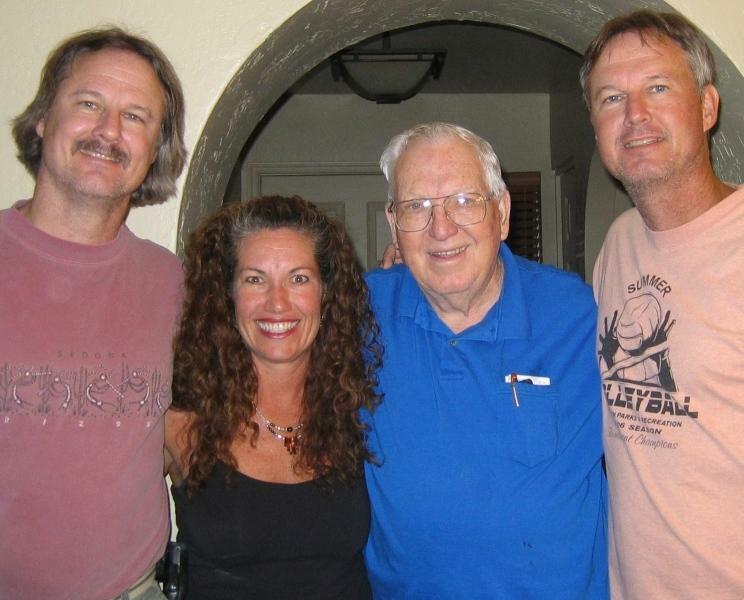 Tom, Pam, Dad, and Greg. 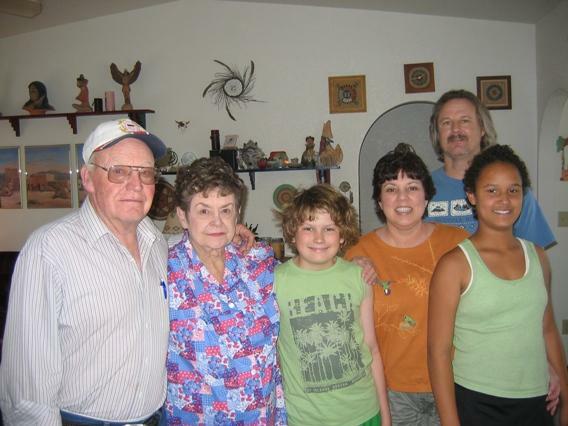 Family photo with Uncle George and Aunt Pat.